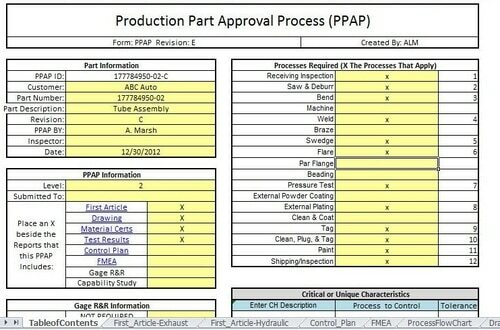 PPAP System - Ledge Inc.
Ledge Inc. has developed a Microsoft Excel PPAP system accepted by several large manufacturers which reduces the amount of time required and standardizes the process. 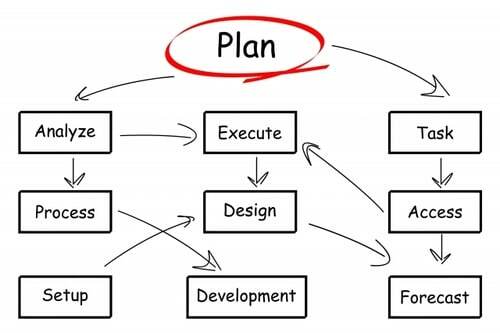 Ledge Inc. will coach your company through creating a detailed Control Plan, FMEA & Process Flow Chart. Finally, a custom designed excel based tool generates all the required components of a PPAP in one file that can be submitted in PDF format.